I could post about Ministerial appointments, complex symptoms, waiting lists, barriers to disclosure, policies, parity of esteem and many many more things, but I’m not going to (well not today anyway). Today I am nudging at a simple truth which underpins the collective experience of mental illness and emotional distress. For though every story is different, there are startlingly consistent themes. When you become a captive of what appear to be your own intoxicating thoughts, you are distanced from the world around you. Loneliness is exacerbated by fear, which fuels loneliness.. and so the circle perpetuates. 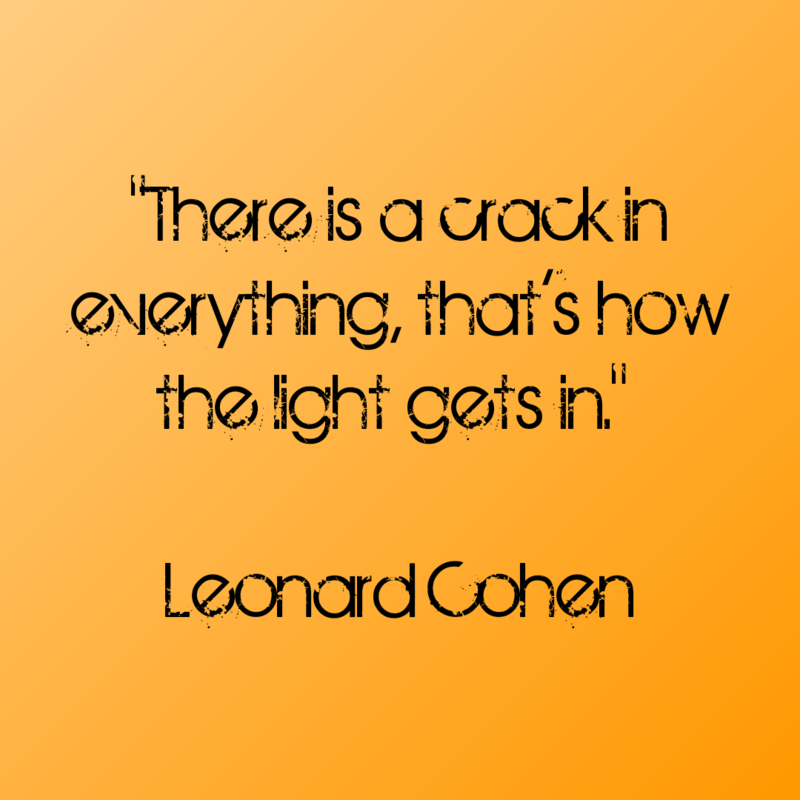 Eventually you may see a tiny glimpse of light (Cohen’s ‘crack in everything’) which invites you to rejoin the whole of which you were actually always part…you just forgot momentarily. The gesture to reach out and to hold another’s hand, and at the same time be held, is the essence of humanity. To know you are never alone and that this will pass. 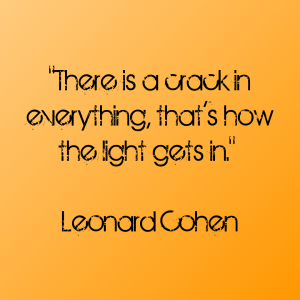 That’s how the light gets in.